There were still a few #70613 and several #70611 left on the shelf - endcap facing the games right by lego aisle. Just received this in the mail with my statement.. an extra 5% off clearance! Not much left though at my local Targets. #21314 is available at $27.99 both online and in-store. Looks like Amazon matched that price as well. Does anyone recall it ever being cheaper anywhere else? Unfortunately, camel^3 is offline so I can't check its history on Amazon. I think it's cool but I'm not sure it's low enough for me to buy yet (gotta have a limit!). I bought one since 20% off seemed like a good deal for an Ideas set, but now it occurs to me that maybe it will get cheaper. Maybe it’s not that popular, or just the fact that Target carries Ideas sets in-store changes what I should expect. Amazon has had #21314 at $27.99 for quite a while now. I actually just finally bought it last week after having it on my wishlist for the past couple months. I have not seen it cheaper elsewhere. ^They have Benny too. No mention of limited production, but it is a RedCard exclusive, limit 2 per account. At one store?! How many did you buy? I bought none of them since I’m not crazy about the theme. There was someone skulking around that area. He picked up three after consulting w his mom or girlfriend. What city / state did you see that? That must be some sort of warehouse error. I don't recall SMs being available at the retail stores, so a palette of them showing up is unusual. some unusual item at my target today, too...first time i've seen ideas' Ship in a bottle and Tron at any target. Cant believe they were returns because multiple copies where on the shelf. Target stores are getting architecture and ideas sets. Wall of China was 50% off. What color palette would be appropriate to paint a pallet? I meant that they could fit on the roof of my mouth. So what color palette would I use to paint my palate after eating a pallet? Local Target in CT started carrying Architecture and larger Technics sets right after Toys R Us shut down. I’m fairly sure this applies nationally. It’s certainly true in MN. Perused the LEGO aisles today. 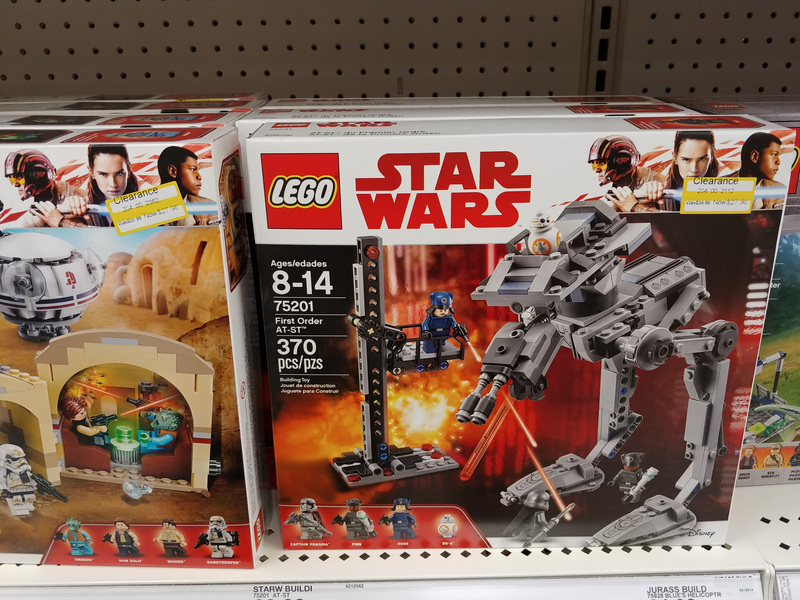 I’ve noticed one whole aisle and one side of another dedicated to LEGO lately more than usual. I wonder if it has to do with no more TRU? The aisles are organized and there is plenty to choose from. ^That happens to me with most of the sets that have failed to scan. Be sure to pay attention at the checkout, as several times I've had items with clearance stickers that scanned at full price, apparently because they scanned the barcode on the box instead of the one on the clearance tag. You shouldn’t have any problem getting them to sell it to you for the price on a clearance sticker. If the sticker has it’s own bar code, then it should have been placed over the UPC on the box, and it isn’t clearance - usually damaged or repackaged. I've had no problem getting the clearance-sticker price if I notice they scanned the wrong tag. 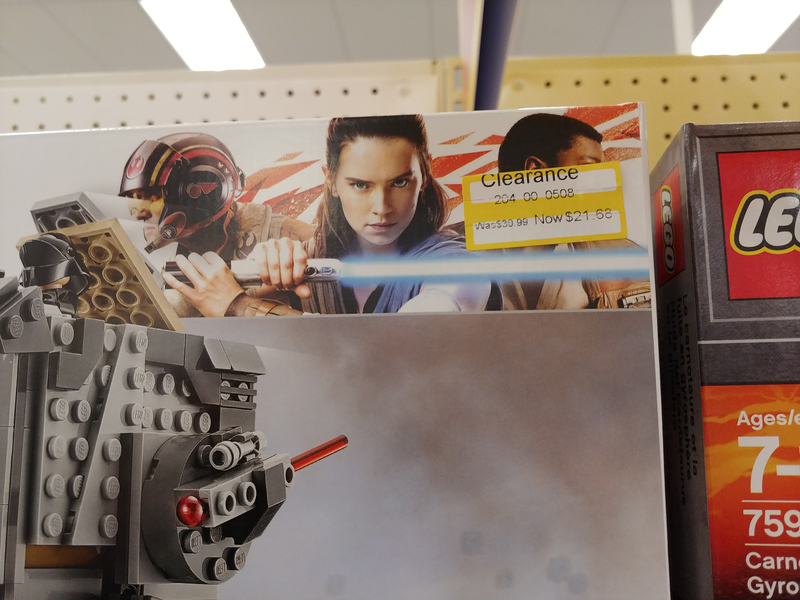 Local Target and Walmart both tend to put the clearance tags on the front of the box rather than covering the UPC on the box, and they usually have the same UPC number/barcode on the clearance tag. But if the store has not updated the price for that UPC it may come up with a different price than listed on the clearance tag. The Thanos Brickheadz I picked up a couple months ago had a $5 clearance sticker that came up full price when scanned, because the in-store database was not up to date with the sticker. Cashier had to override the price manually to match the sticker, but if I had not been paying attention neither one of us would have caught it. This usually happens if an item has "gone to salvage". The system no longer shows the clearance price and instead reverts to full retail. I had a Target employee tell me that they did this to prevent people hiding or buying and returning items to get a lower clearance price. Neither Target nor Walmart tends to put the clearance stickers over the UPC because they still need to be able to scan it. The system is supposed to have the clearance price. If there is a discrepancy, it’s usually the system showing a lower price than the sticker, in my experience. Moral of the story - always pay attention and make sure you get the lower price. My wife just got me 15 Emmet's Piece Offering sets for 39 cents a piece. You may want to go to your local Targets and check and see if any got put up by the registers. 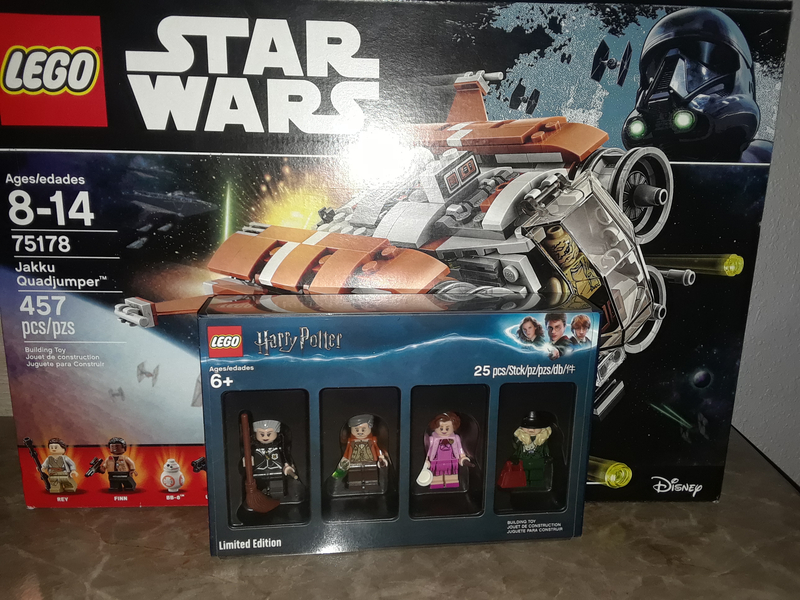 The Emmet's Piece offering where down to $1.19 at the local Target but I managed to snag the Quadjumper for 12.57 and the Bricktober figs from the local B&N, pretty proud of my small haul. And pretty much everything was signed to the point of ridiculousness. Tags everywhere, lol. Should’ve taken that photo. Except sets priced at $99.99 or higher. 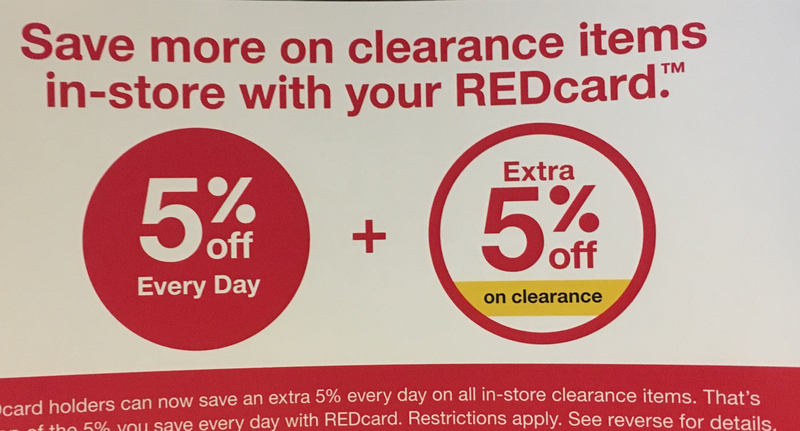 You don't have to forego the Redcard discount. I add them to my mobile wallet on the Target App and then I get my 5% off. You can also swipe your giftcard first and then use the Redcard on the remaining balance and the 5% will be applied to the entire purchase. Buy online and pick up at store. You can also price match in store, use your red card for the 5% discount, plus get a $10 gift card. I just did that today. I picked up #75183-1 Darth Vader Transformation for $16. Best price I've seen it for. Pretty nice little set! In my experience split payments only apply redcard discount to redcard portion, I'll try adding gifcard to mobile wallet in app. 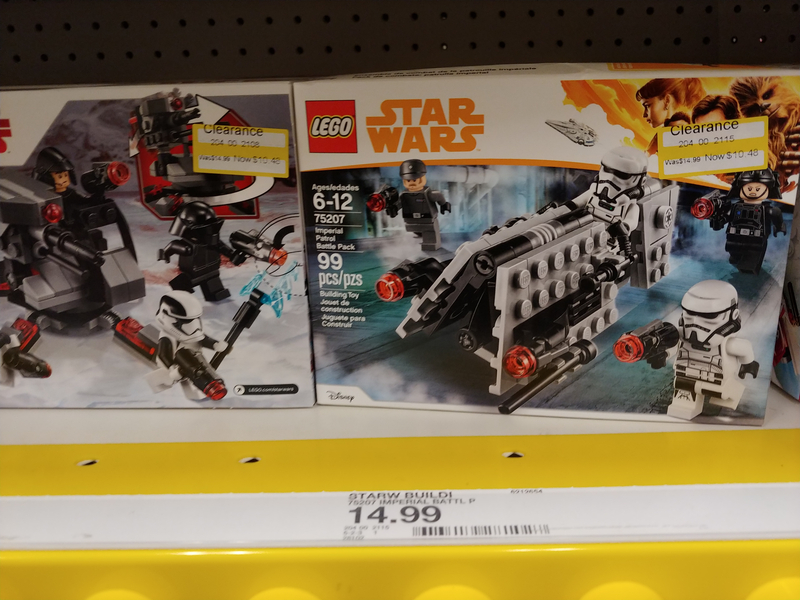 @Astrobricks Roseville Target has #75177 First Order Heavy Scout Walker for $21.68, #75201 First Order AT-ST for $27.98. Thanks, but crap! I was just over that way last night. 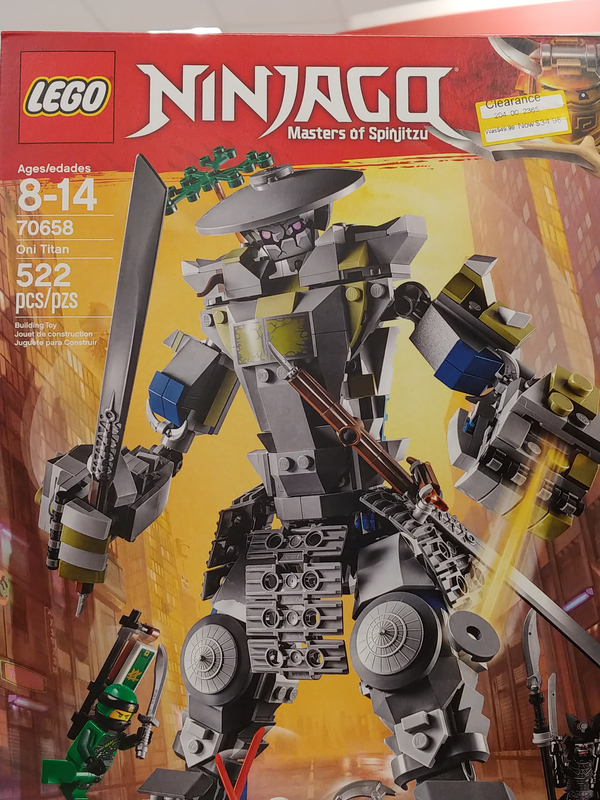 I’ve been waiting for 75177 to drop to a reasonable price. 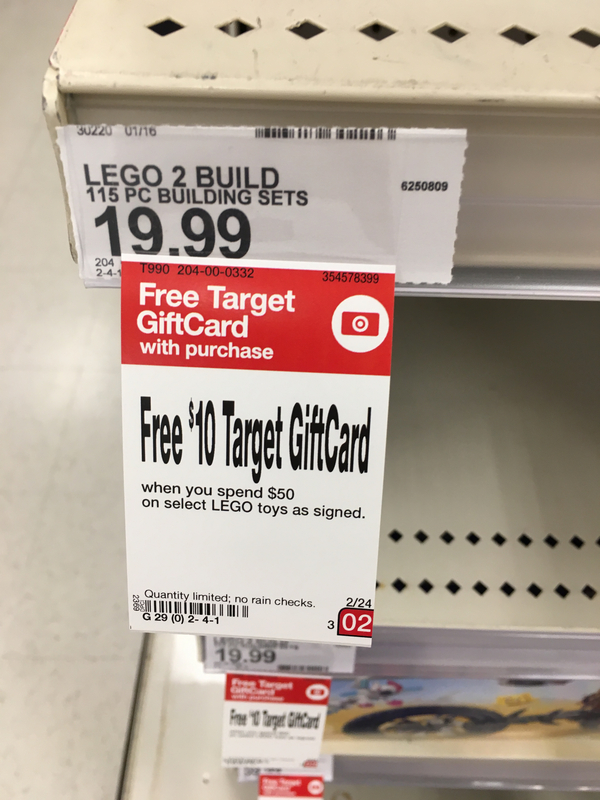 I guess it’s off to brickseek!